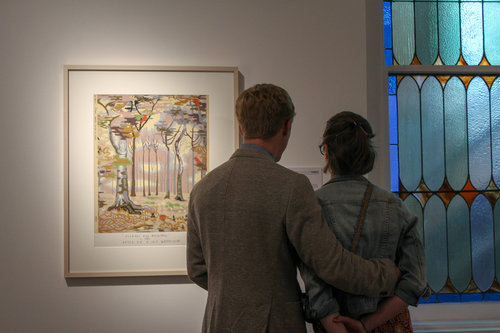 Foothills Art Center presents Charles E. Burchfield: A Resounding Roar, which features watercolor paintings displaying the artist’s love and appreciation of various sounds of daily life and the works he made in response. Early Burchfield works depict the sound of crickets as they chirp in the bushes around his childhood home. The resounding roar of a passing train or the delicate call of a bobolink could the inspiration for a series of works lasting decades. Later Burchfield works are inspired by his favorite composers Ludwig van Beethoven and Jean Sibelius. Join the museum for a special evening performance when Virtuosity dancers express Charles E. Burchfield’s work through dance on June 7 at 6 p.m.